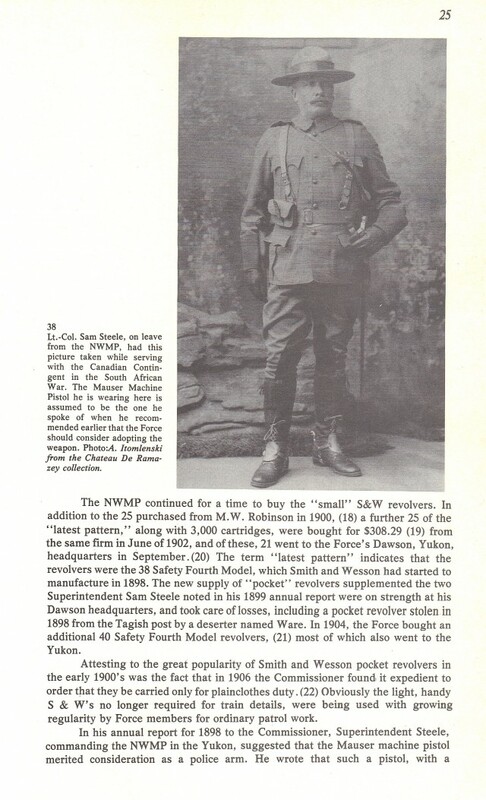 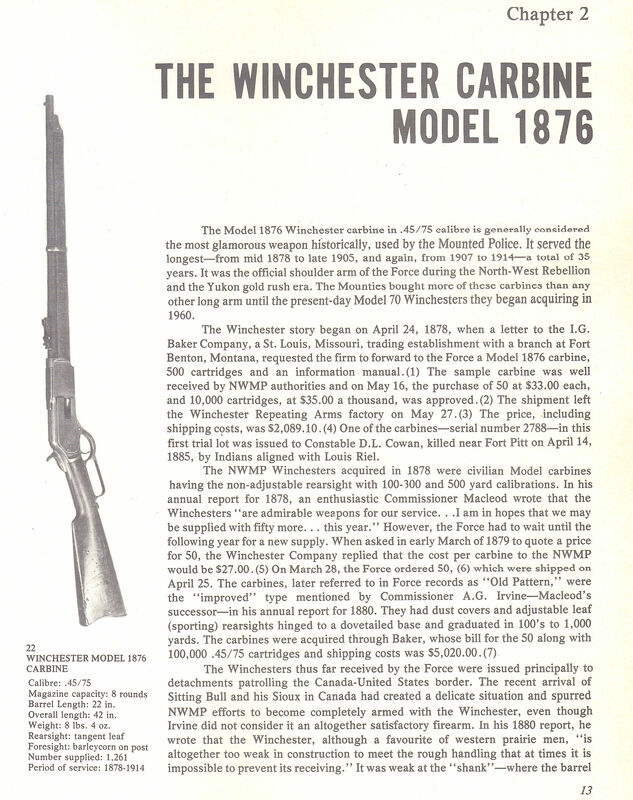 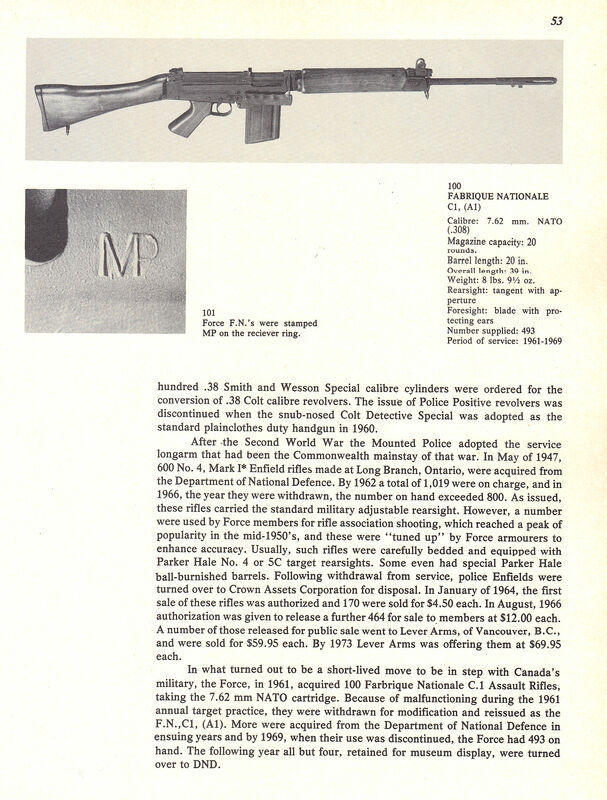 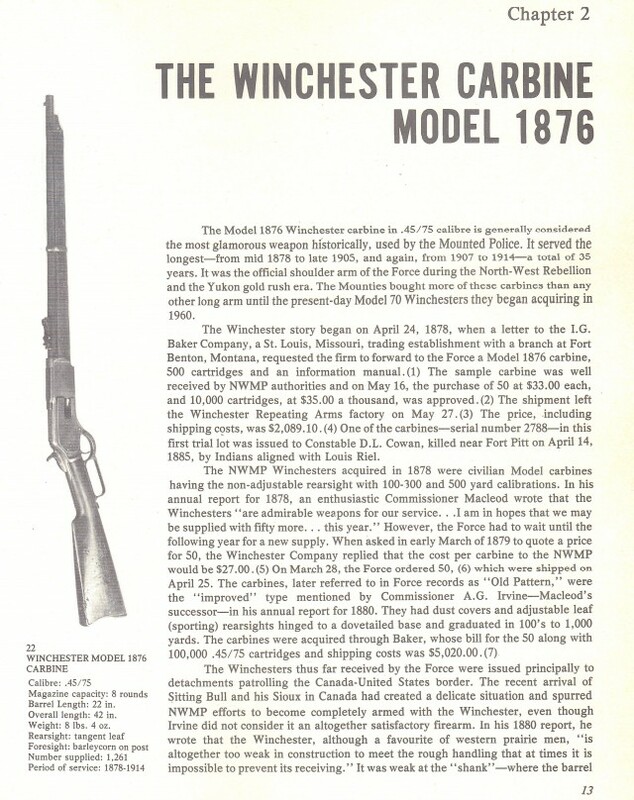 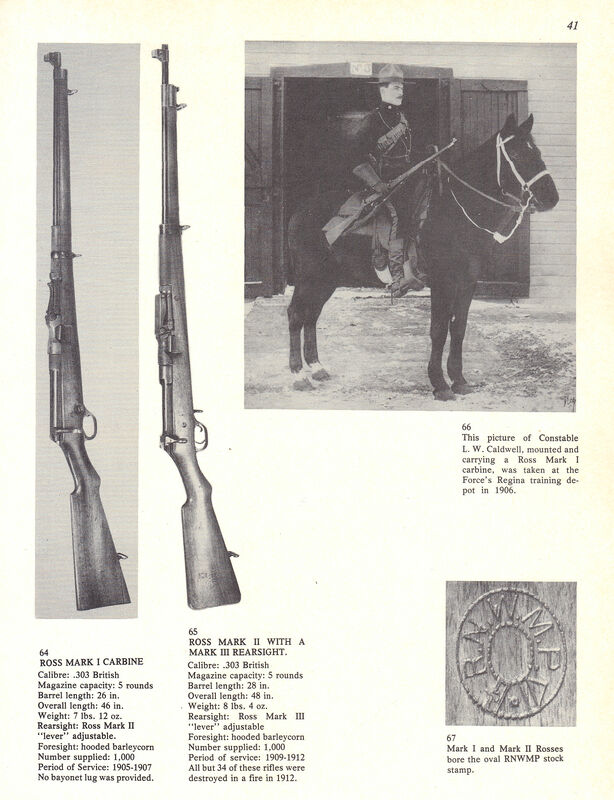 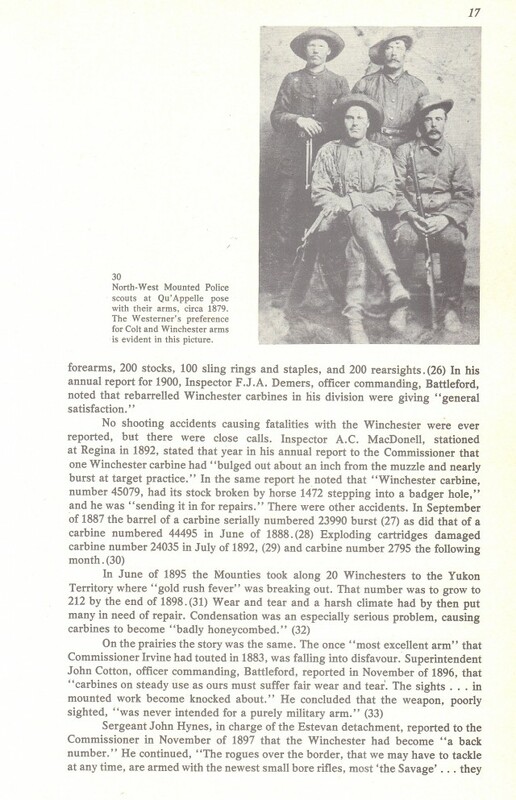 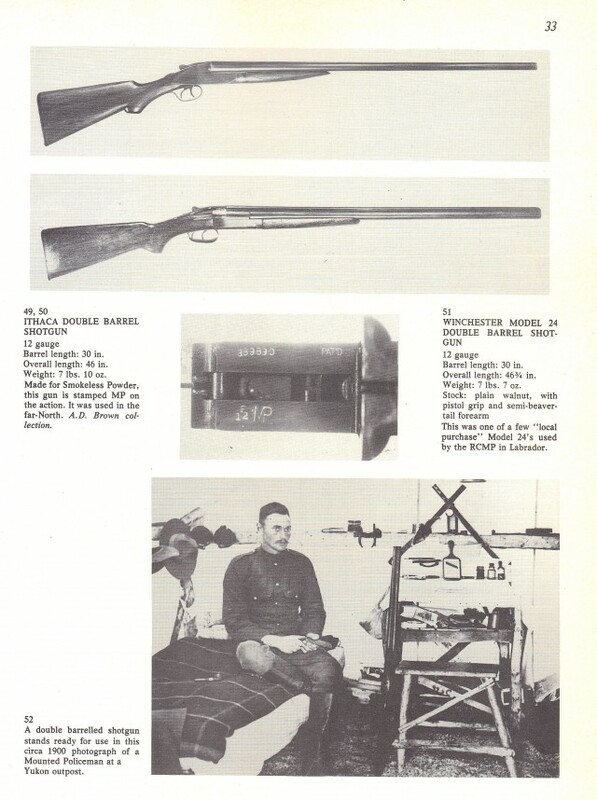 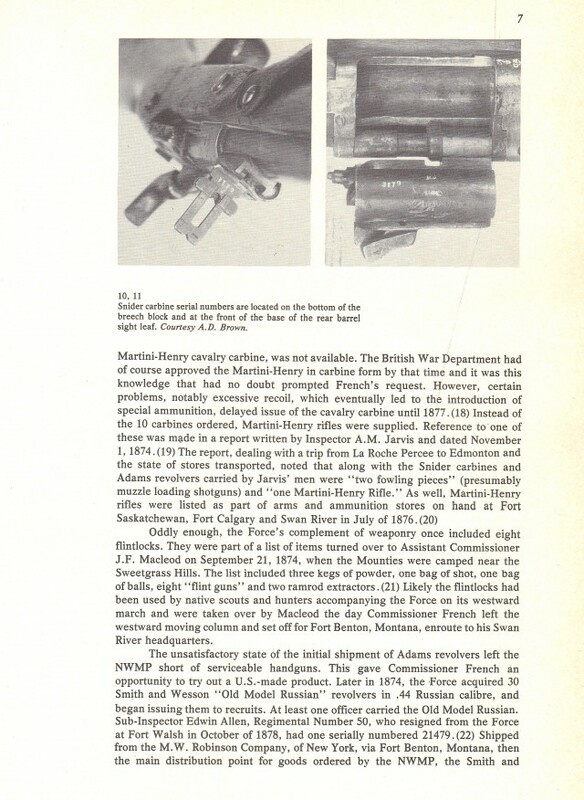 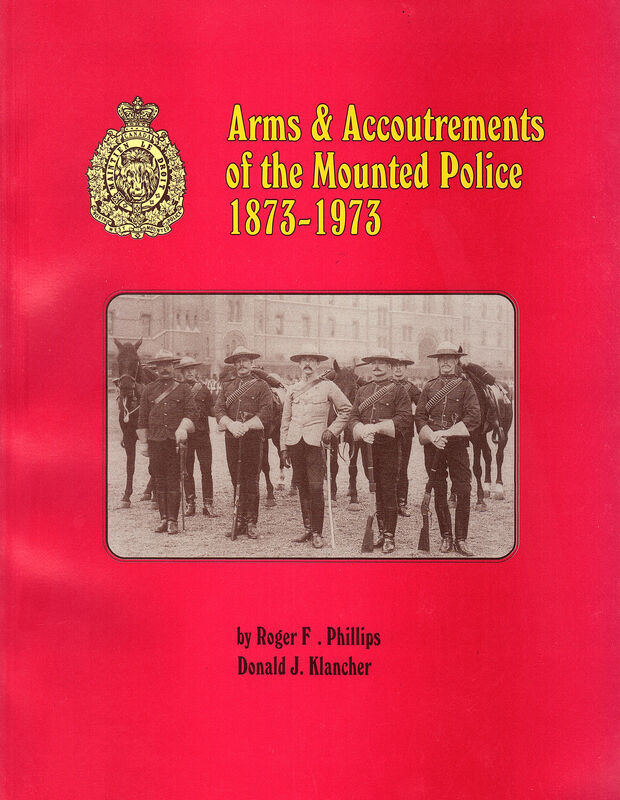 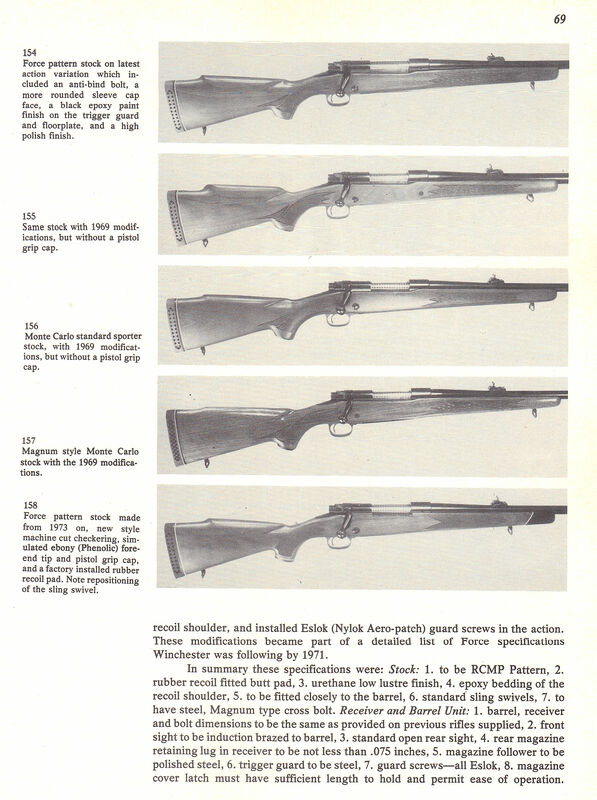 Description: Arms & Accoutrements of The RCMP, 1873-1973 by R. F. Phillips, & D. J. Klancher: A definitive history of the arms and accoutrements used by the North West Mounted Police, the Royal North West Mounted Police and the Royal Canadian Mounted Police. 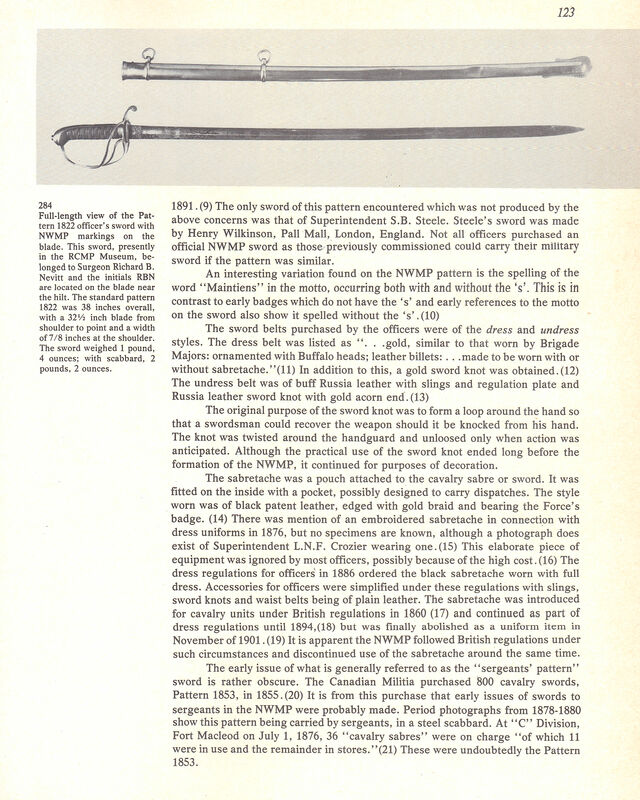 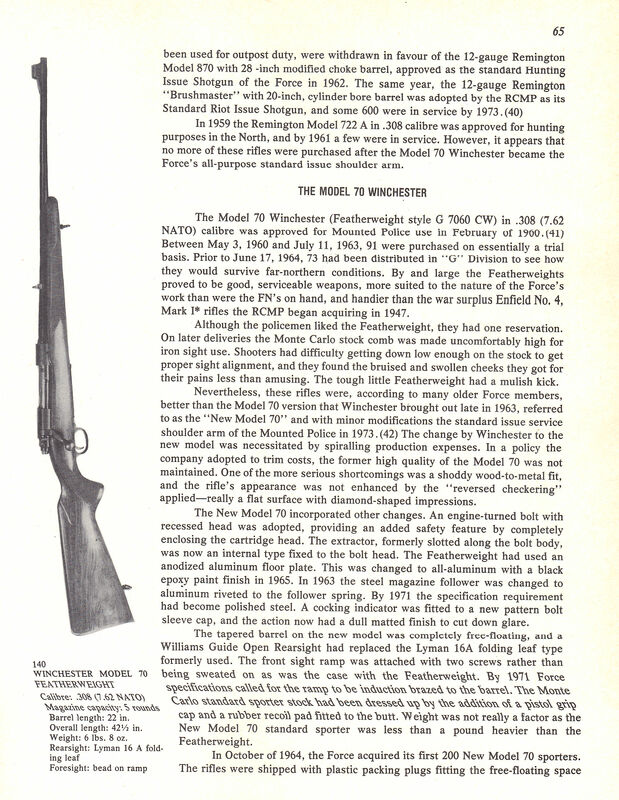 It includes an appendix which lists the serial numbers of many of the weapons used by the Force. 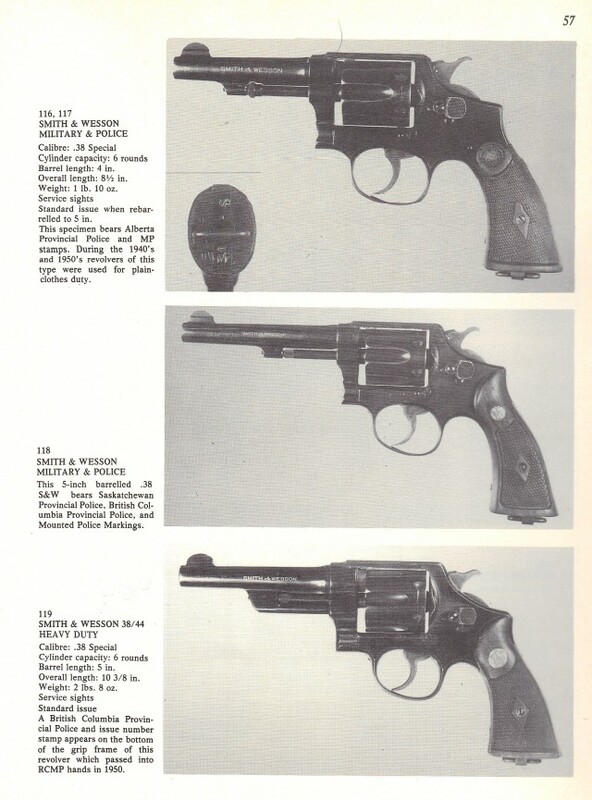 224 pp., over 400 ill.